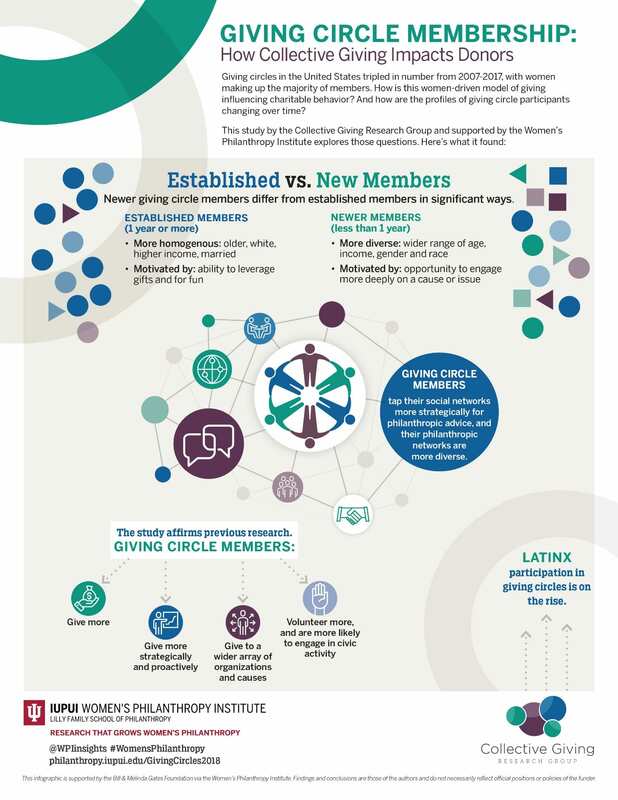 Giving Circle Membership: How Collective Giving Impacts Donors expands our understanding about the behaviors of giving circle members. In particular, the study found that giving circle members leverage their social networks more strategically for philanthropic advice. Giving circle members consult more people and a wider range of individuals about philanthropy than non-giving circle members. The people they consult are often outside of their own social circle and may include nonprofit leaders, philanthropists, local family foundations, and other giving circle members. A sample of giving circle members in Austin affirmed this finding. In addition, giving circle members’ philanthropic social networks, a term coined for this study that refers to the people individuals consult about their charitable giving decisions, are more diverse by race, religion, and socioeconomic status than those of non-giving circle members. In short, this study found that members of giving circles are more strategic about their philanthropy, reach beyond their family for philanthropic advice, and engage in conversation about charitable giving with more knowledgeable sources. For those interested in moving philanthropy more into mainstream conversation, this report is good news. But there’s more. The research also compared new giving circle members with individuals who have been members for one to four years, and those who have been members for five years or more. This part of the study revealed that giving circle membership is experiencing demographic changes. Established giving circle members tend to be older, white, higher income, female, and married. New giving circle members are more diverse than those who have been members for a year or more; they range more broadly in terms of age, income, gender, and race. Research suggests that giving circles represent the democratization of philanthropy—not only for the “one person, one vote” guidelines that typically direct the grantmaking, but also because they are often the first entry point for individuals to engage in philanthropy. Giving circles began as an organic, grassroots phenomenon, often initiated in one community after someone read an article in the popular media about a giving circle in another community. Today, the giving circle movement is growing through the efforts of both grassroots and philanthropic intermediary organizations such as Amplifier Giving, Latino Community Foundation, the Community Investment Network, and AAPIP (Asian Americans/Pacific Islanders in Philanthropy). Giving circles have proven to be an effective tool to engage people new to philanthropy. And now we know that those giving circle members are leveraging their experience by building powerful philanthropic social networks. The second study released in November 2018, Dynamics of Hosting Giving Circles and Collective Giving Groups, looked particularly at the organizations that host giving circles. Researchers wanted to understand the opportunities and challenges of investing time and resources to promote and support these collective giving models. A significant finding from the study is that community foundations and other host organizations embark on this journey to contribute to a culture of philanthropy in their communities. To learn more about other highlights of this study, check out the infographic that accompanies the longer report. 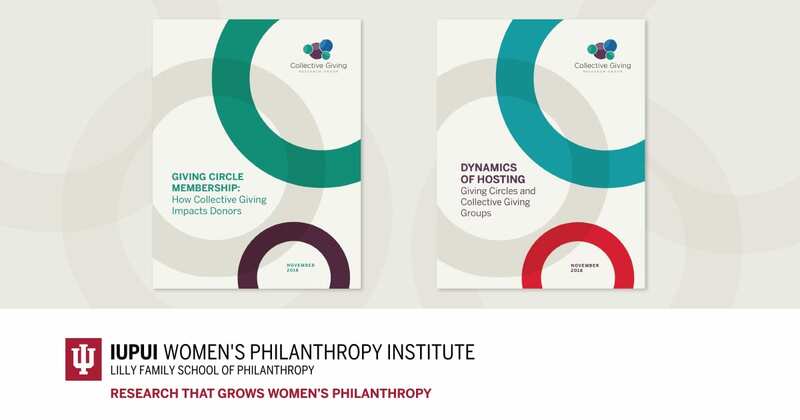 These two studies follow previous research, the first landscape scan of giving circles in 10 years, by the Collective Giving Research Group and the Women’s Philanthropy Institute. Together, the studies illustrate that giving circles are a powerful tool for engaging donors in philanthropy. 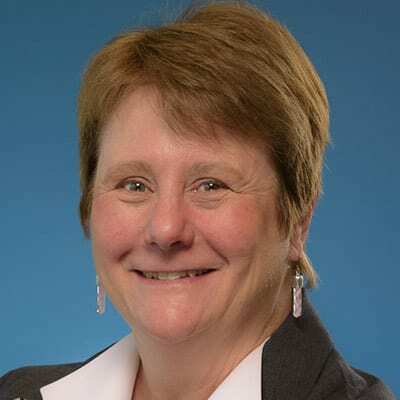 Andrea Pactor is the interim director of the Women’s Philanthropy Institute. I wonder how a circle finds a local charity to help fund, if there is a digital opportunity by creating a page on our website to attract the, or if direct outreach is an option? You can learn more about giving circles and other resources about them at https://www.amplifiergiving.org/. Here’s some information about this from the interim director of the Women’s Philanthropy Institute.